Many of us plant lots of daffodils because animals leave them alone. Most varieties will eventually naturalize and become larger and larger clumps, blooming for generations. You can often spot the old foundation of a long-gone house, by the daffodils surrounding it. So how many years can we expect to get blooms from our daffodil bulbs? According to the American Daffodil Society, "Under good growing conditions, they should outlast any of us. While some kinds of bulbs tend to dwindle and die out, daffodils should increase." While the initial bulbs may give out, they should have produced many new bulbs over the course of their lifetime, keeping the show ongoing. Why Will Daffodils Suddenly Stop Blooming? Planting Depth: The bulbs are planted at the wrong depth. If they are too shallow, they can dry out and die. They need to be at least 4-8" down, depending on their size. You can also have problems if they are planted too deeply, since they may be slow to emerge. Impatience: The foliage was cut back too soon. If the leaves aren't allowed to remain on the plant until they brown on their own, the bulbs won't store enough food to get them through the remaining summer and winter. It's not pretty, but it's vital. Plant something nearby that will hide the fading foliage. Food: Bulbs can store their own food, but they still need nutrients from the soil to build up their reserves. If your soil is very lean, the bulbs, especially the newly developing bulbs, will need a boost after flowering. A bulb food, or any fertilizer high in phosphorus, will do the trick. Narcissus Flies: Narcissus flies eat the flower buds. The adult flies crawl down into the soil and lay their eggs, then the larvae hatch and feed on the buds. If you cultivate around the area, it should kill the larvae or at least expose them to hungry birds. Few plants can survive on their own forever. 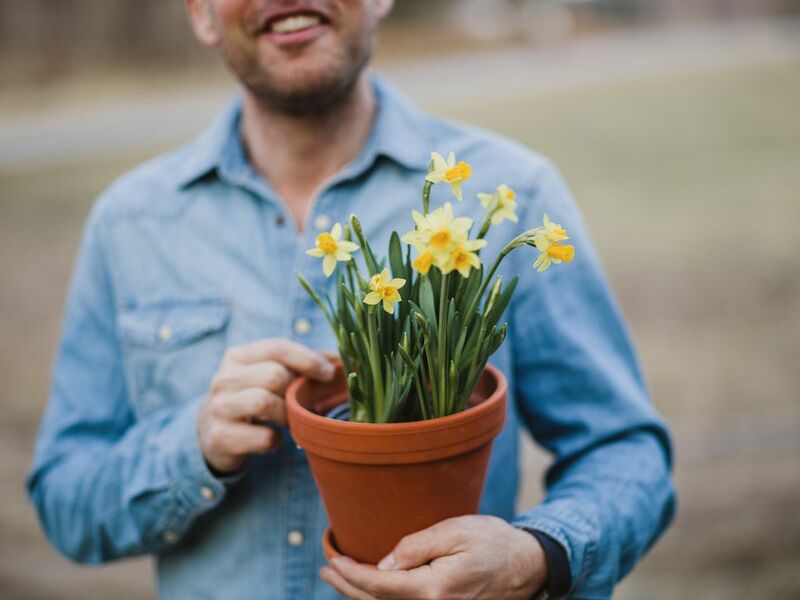 If your daffodils aren't living up to expectations, check for one of these problems and get your daffodils back on track and blooming for more generations to enjoy. What Is Perennial and What Are the Different Types?